Today, the elemental messengers announce the return of magic and dragons, and a new era of battles. Old empires topple and armies rise to answer the call of new heroes. The world is changing! Are you ready to take power? 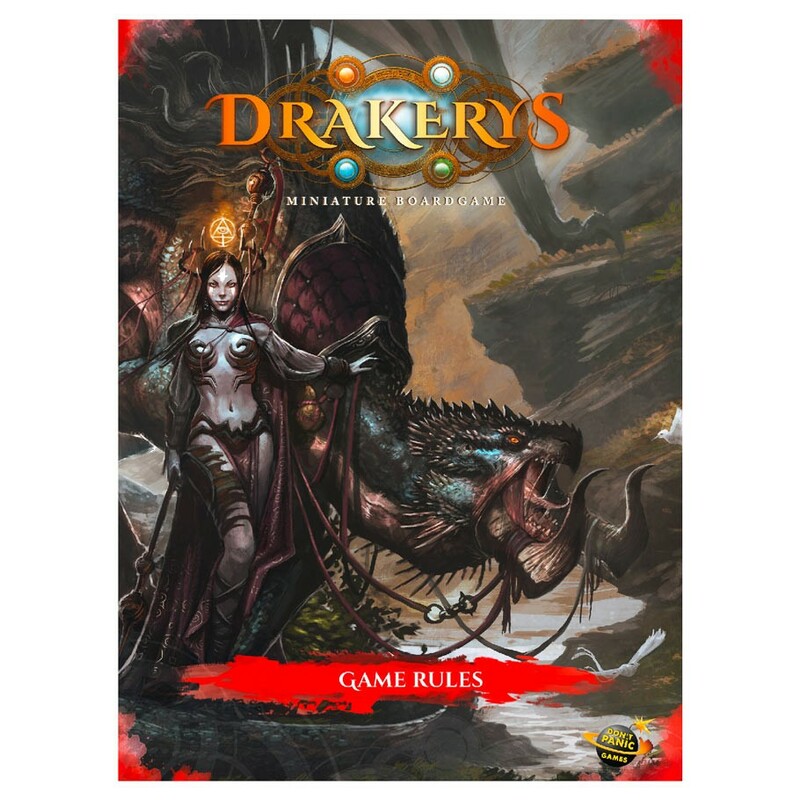 Drakerys is a wargame played with miniatures in a medieval fantasy universe. An introduction to the world of Drakerys. The game rules, with many illustrated examples. Rules for magic and elemental invocation. All the game profiles for the four factions (Paladins of Irosia, Orcs of Ashral, Elves of Avaren and Dwarves of the Aurium caste) along with the profiles for the Elementals and mercenaries. Nine scenarios for any of the four armies.